The online preview of TCM's October schedule is now up! Turner Classic Movies seems to be setting some kind of record with the sheer number of horror films on the October schedule. In addition to the focus on Vincent Price, the Friday Night Spotlight series will feature horror films, including BRIDE OF FRANKENSTEIN (1935), Robert Wise's THE HAUNTING (1963), and an evening devoted to the films of Val Lewton and Jacques Tourneur. Horror films will also play from dawn to dusk on October 31st, culminating in an evening of Vincent Price movies on Halloween Night. The month will also feature multi-film tributes to Samantha Eggar, Peter Lawford, Angela Lansbury, Deborah Kerr, Margaret Lockwood, and Lillian Gish, plus directors Dorothy Arzner, Lewis Gilbert, George Stevens, and Robert Z. Leonard. There's also a five-film prime time tribute to Tyrone Power which includes the excellent Fox Western RAWHIDE (1951). Wonder if that's a TCM premiere? RAWHIDE costars Susan Hayward and was directed by Henry Hathaway, with much of the film shot in Lone Pine, California. The movie I'm most excited about in October? 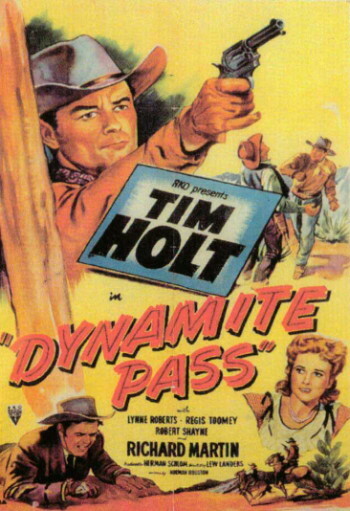 DYNAMITE PASS (1950), a Tim Holt-Lew Landers Western which isn't in any of the Holt sets available via the Warner Archive. Regis Toomey, Lynne Roberts, and Cleo Moore costar, and -- like the aforementioned RAWHIDE -- it was filmed in beautiful Lone Pine. Wonder if the Archive might release another set of Holt Westerns in the future? I'll have a more detailed look at the October schedule in late September. Meanwhile, today marked the start of the annual Summer Under the Stars festival, and Kim Novak is the September Star of the Month. Update: For more detailed information on the October schedule, please visit TCM in October: Highlights. 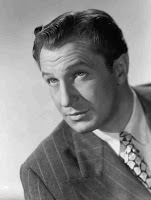 I can never tire of Vincent Price! Perfect choice for October. Although, he did so many great non-horror performances too.